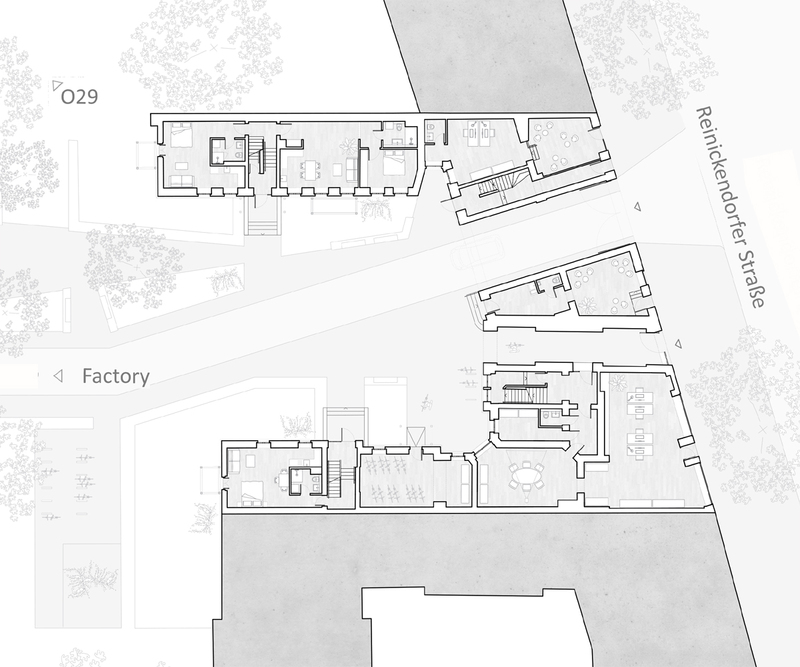 The second phase of our Berlin Wedding Masterplan is underway. 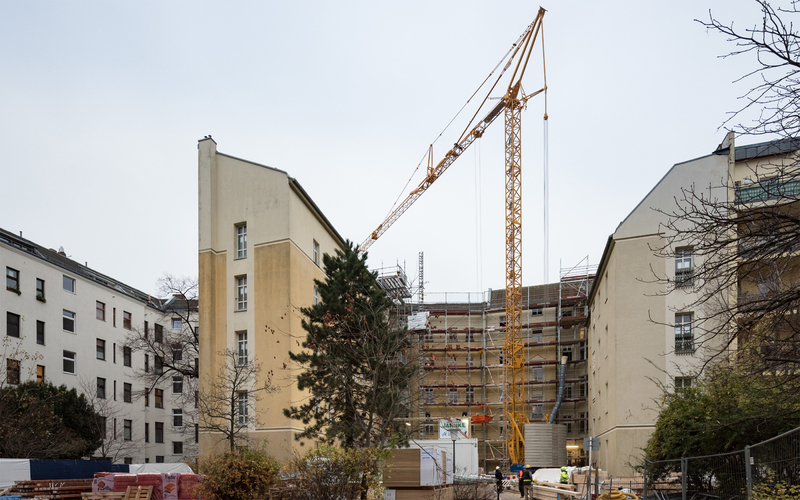 Within the same city block as our project on Oudenarder 29, Reinickendorfer 65 & 66 is another Wilhelminian apartment block in the North-West of inner-city Berlin under renovation. 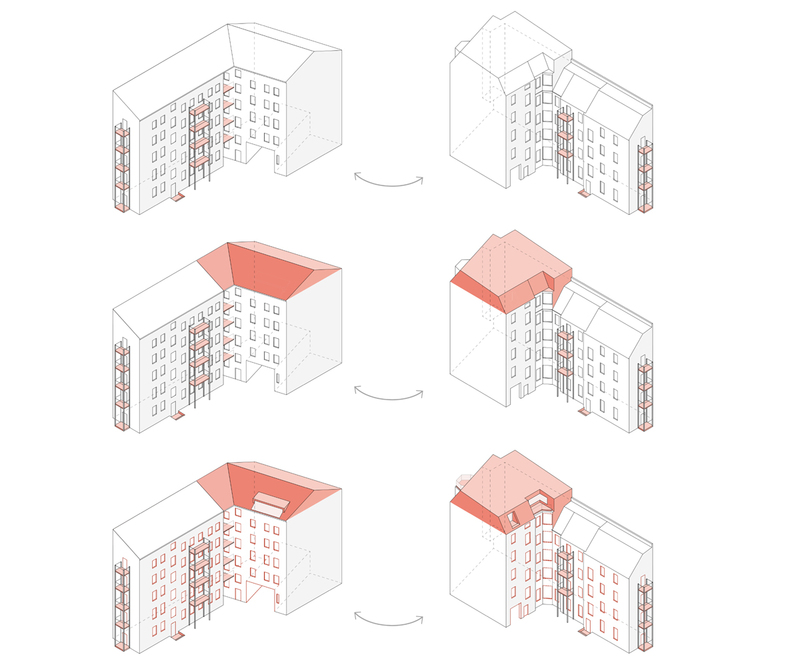 We are applying the same green transformation to the rear, however the scope of works for this second phase is greater as it includes the addition of penthouses and commercial units. 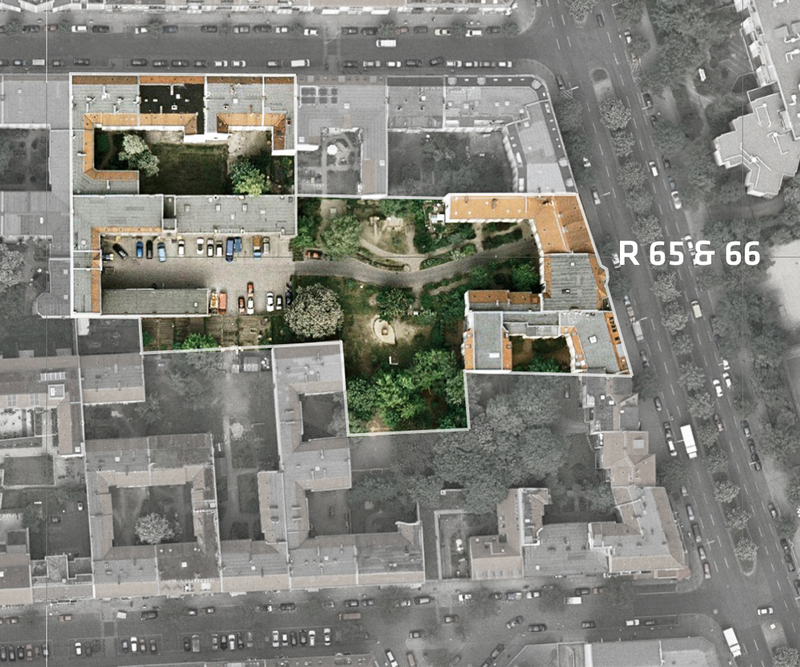 Our works to Oudenarder 29 created a green refuge separated from street life by the existing residential block however Reinickendorfer 65 & 66 engages with the street at the same time as providing garden space for the residents. Not only will this project restore commercial units on the ground floor but two existing passageways through the building will be reinstated too. 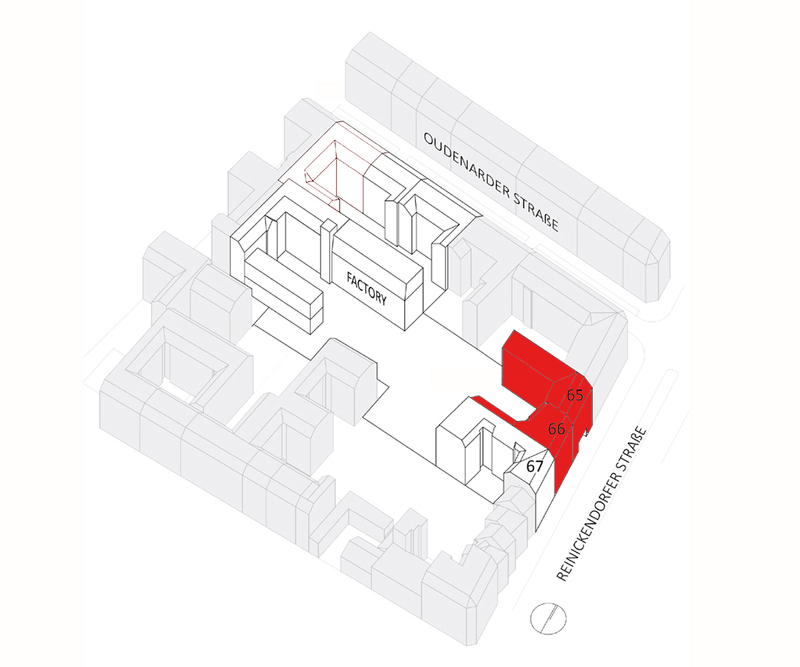 These passageways lead to the factory behind and whilst one is restricted to pedestrians and cyclists, the other is wide and tall enough for vehicular access which will simplify logistics both during and after the third phase of our masterplan, the factory renovation. 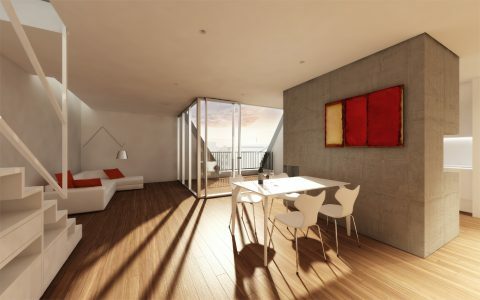 The liveliness of the ground floor activities does not spoil the sanctuary of the residential accommodation as we have lowered external levels to create a physical separation as well as inciting the requirement for steps which generates a grander entrance to the flats. 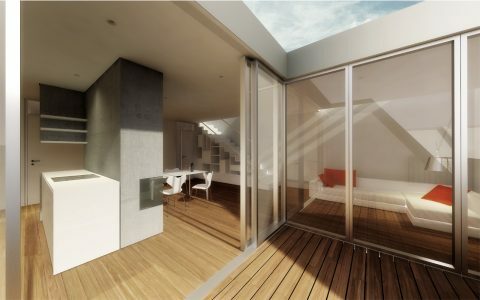 Whilst the ground floor will be full of life and movement, the new penthouses will be more peaceful and relaxed. These units are additional spaces on top of the existing building and will benefit from generous floor to ceiling heights as well as two different types of terraces – rooftop apartments in 65 will have courtyards that are cut out of the roof structure, where as 66 will have street-facing balconies. At roof height, the noise of Reinickendorfer’s traffic is minimal and the building opposite does not overshadow the penthouses giving these residences a tranquil ambience as well as filling the space with natural light. Similarly to Oudenarder 29, our scheme will modernise existing apartments to suit contemporary living patterns. 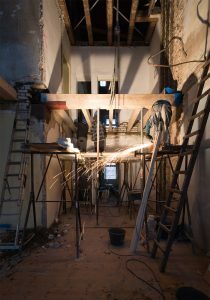 Both buildings date back to the late 19th century and by modernising the apartments through reconfiguring living and kitchen areas and upgrading all hard finishes, residential units will be prepared for another hundred years of use. The final stage of Patalab’s Wedding masterplan will renovate the factory building which was the largest producer of light bulbs in the World when it was built in the early 1900s.